This stylish Add-On-Stand in Dark Blue carbon metal will transform your Little Sun Charge Solar Charger & Lamp into a desk light, reading lamp, cooking light for camping and much more. 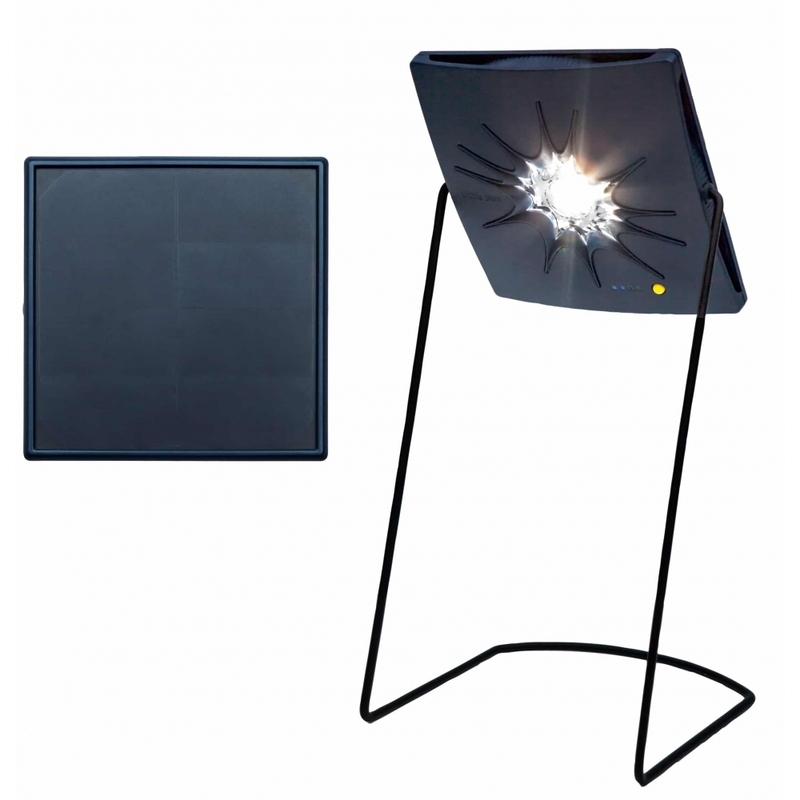 The eye-catching and versatile stand ensures the solar power bank and lamp can be used for many purposes in the home, office and out and about. Adjust the stand to the angle you need to illuminate your activities.